Complete navigation in a portable, easy to use GPS device with an extra wide 5.0 inch touchscreen. 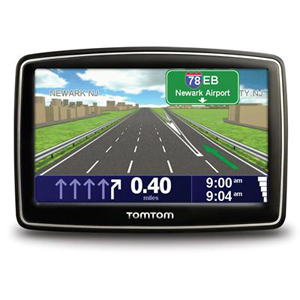 This TomTom XXL 540-S offers verbal turn-by-turn directions and 3-D graphics will guide you to any address in the US, Canada and Mexico, including more than 7 million preloaded points of interest. IQ Routes Technology gives you the fastest route every time. Advanced Lane Guidance helps you navigate complex multi-lane exits. Car charger, USB cable, Fold & Go EasyPort mount and mounting disk included.